Institutional Facilities - Environmental Quality Management, Inc.
EQM provides environmental assistance to a number of institutional facilities including colleges and universities, hospitals, research and development facilities, and prisons. 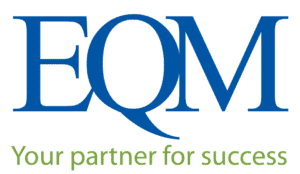 EQM provides environmental assistance to a number of institutional facilities including colleges and universities, hospitals, research and development facilities, and prisons. Our professional staff has a wealth of experience in multimedia compliance issues, and is familiar with the unique environmental challenges faced by institutional facilities. We are available to provide assistance on an ongoing, as-needed basis serving as part of a client’s environmental staff, or for specific projects. Greenhouse Gas (GHG). Prepared GHG Monitoring Plan and provided additional related assistance. Performance Tests. Performed particulate testing on Nos.1, 2, and 3 boilers. Performed NOx and O2 RATA on Boiler No. 4. Also performed NOx RATA on the Plant Monitoring System. Performed sampling on two new natural-gas-fired engines to determine levels of NOx, CO, and THC. Also performed particulate sampling on coal-fired boilers. Conducted performance tests on new baghouses. MACT Compliance. Performed MACT standard testing on the inlet and outlet of the ESP serving the No. 1 coal-fired boiler. Testing was conducted to determine the presence of metals, HCl, and CO.
Microbiological Assessments. Conducted microbiological assessments at five schools in a public school system. The surveys included air sampling for culturable fungi and total fungal (viable and nonviable) spores, bulk samples and tape lift samples for culturable fungi, and a visual inspection of the structure and air-handling system to identify areas of water-damage. Moisture measurements were conducted using both direct probe and radio frequency-based techniques. The latter technique was used to identify moisture areas inside the building envelope. Sampling was conducted in accordance with the procedures specified in AIHA 1996 and AMS 1997. Detailed written reports were prepared for each school including specific recommendations for corrective actions. At an elementary school, EQM prepared bid specifications for the remediation of mold (including Aspergillus versicolor and Stachybotrys chartarum) in the building envelope. EQM also provided the remediation oversight, conducted clearance testing, and prepared the final clearance report.